Extra Loud Locator. This 15,000 Hz. 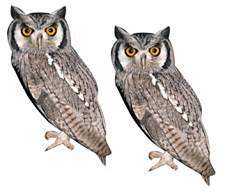 high frequency owl call exactly reproduces the laugh, hoots and screams of a barred owl. It features a beautiful customer cherry barrel with our special baffle in the keg end that allows for championship caliber hooting with minimal effort. This extra loud locator call has a blasting range of over 1/2 mile. The original reed-type owl call. 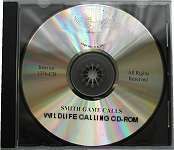 It is capable of making the exact sounds of the barred owl. This will make the turkey shock gobble giving away his location. The volume of this can be made loud or soft - you make the choice. Lightweight, two-tone pitch for greater response. Simple to use. Pocket sized. 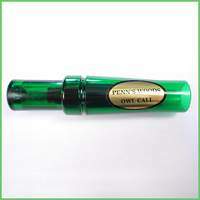 An excellent way to locate gobblers early in the morning or late in evening is to use this Barred Owl Call. This is a reed-type owl call made of hard plastic and plastic reed for perfect tone under all weather conditions. Comes with camo lanyard and complete instructions. This small and compact reed-style gobbler locator, creates all barred owl sounds. Great turkey locator. Easy to use. New and improved reed design allows for super loud locating. Improved design keeps reeds from sticking due to over blowing. New design allows for automatic back pressure. 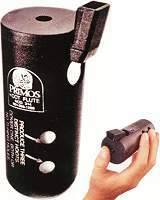 This Primos 4 in 1 Hoot Flute is a realistic sounding call that mimicks the hoots of the Barred Owl of the East as well as the Great Horned Owl of the West. 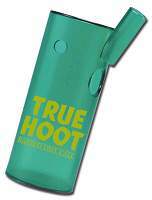 The Hoot Flute is easy to use and will often entice a gobbler to give away his location by gobbling back at you. You can then move closer and, using turkey talk, lure the gobbler into range. Three unique tuning holes for eight different tones and frequencies. Durable and easy to carry. Drive Away Unwanted Birds, Or Drive Crows Crazy With This Full Size Owl. HANG IN THE WIND or STICK THEM WHERE YOU WANT. COMPACT! VERY EFFECTIVE. FOLD-DOWN SIMPLICITY. 2-SIDED AND IMPERVIOUS TO ALL WEATHER CONDITIONS. A Beautiful Owl that does everything an owl decoy should do. Water Proof, Photo Realistic, Instant Set-up, Durable, Hangs or Free stands. Use with RENZO’s crow Decoys.